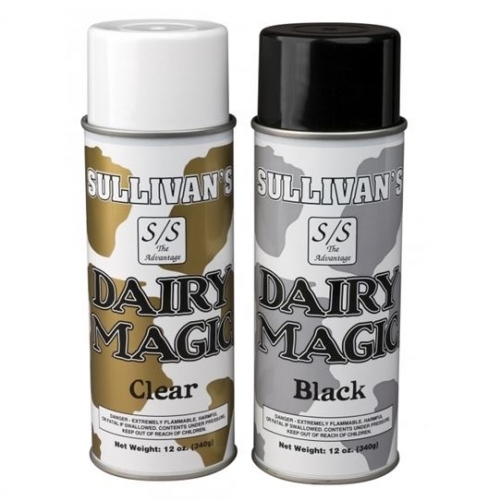 Dairy Magic is ideal for grooming toplines on dairy cattle. It delivers a lasting, yet manageable hold. The large 12 oz. cans give you 20% more product than comparable products at the same price. Available in Clear or Black.